The sky is blue and the sun is shining. 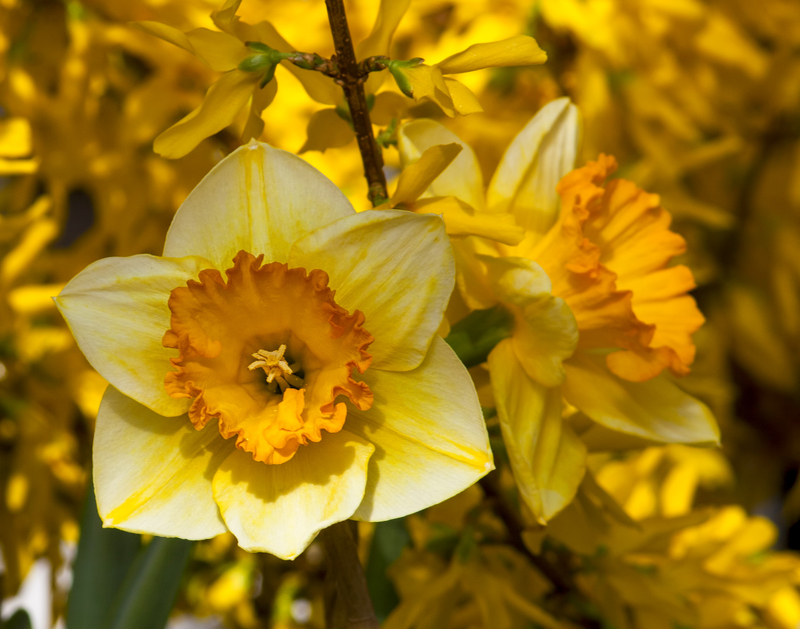 Daffodils are in bloom, which means one wonderful thing…spring is finally here! The winter has been long, colder than imaginable and wet. At times is seemed the sky would be grey forever and that the warm weather would never come, but without fail, it has arrived. It may have taken longer than usual, and it certainly took much longer than most of us would have hoped, but it has come. I love spring and most everything about it; I find it positively intoxicating. There is something about a sunny day with a cool breeze that makes me feel like anything is possible. Daffodils are my favorite flower in the whole wide world. They have a way of appearing out of nowhere, a cheery yellow surprise that reminds me that there is always hope. Spring is a sign of new life, it is old made new, it is worn out refreshed, and it is a faithful reminder that better days are to come. I’ve been feeling a little overwhelmed by life these past several weeks, but I am reminded that there is hope. Better and brighter days are coming! No matter what’s going on in my life, the sun is still shining and it is beautiful. Life is beautiful. Here’s wishing each of you a cheery surprise and the gift of hope today. Happy spring!